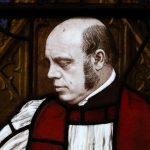 J.B. (Joseph Barber) Lightfoot (13 April 1828 – 21 December 1889) was Bible Scholar, theologian and Bishop of Durham. Could any paradox be imagined greater than this — this contrast between the insignificance of man’s self and the preeminence of man’s destiny? No interval of time or transference of scene, no contrast of persons or of circumstances, has tarnished its freshness or robbed it of its power. Nay, must we not rather confess that, as the world has grown older, the chasm between the greatness and the meanness of man has widened, and the paradox has increased from age to age? I. EACH NEW DISCOVERY HAS DEPRESSED THE RELATIVE IMPORTANCE OF MAN IN THE MATERIAL UNIVERSE. 1. Astronomy has taught us our insignificance in space. 2. Geology teaches us our insignificance in time. 3. The microscope discovers to us miniature worlds, crowding under our eyes, countless in number, and each thronged with a dense population of its own. 4. The anatomist dissects and the chemist analyses the human body. Man is found to be compounded of just such substances as the brute, the tree, the stone. There is absolutely nothing besides. 5. If there is nothing in the component elements of the human frame which accounts for the preeminence of man, we may at all events look for an explanation in some peculiarities of structure. But the naturalist will tell us that all attempts at classification with a view to separating man off by a broad line from the lower creation fail signally. 1. The believer may boldly claim science herself as his teacher, for it has accumulated evidence at every step that, as a thinking, hoping, aspiring, progressive being he is quite unique in God’s creation. The Psalmist thought of man’s dominion over the beasts, birds, fishes of the sea. We have lived to witness his sovereignty over the elemental powers of nature — he can order the lightning, weigh the sun, make the vapour his slave. 2. Yet this subjugation of the powers of nature is only the earnest of greater things to come. Apostles and evangelists saw the true fulfilment of the Psalmist’s prophetic saying in the ultimate and supreme destiny of mankind, as realised in the person and work of the one representative Man. The song of the Psalmist falls on the ears of Christians now with a fuller cadence, swelled with the experience of nearly thirty centuries, and prolonged into the hopes of eternity.